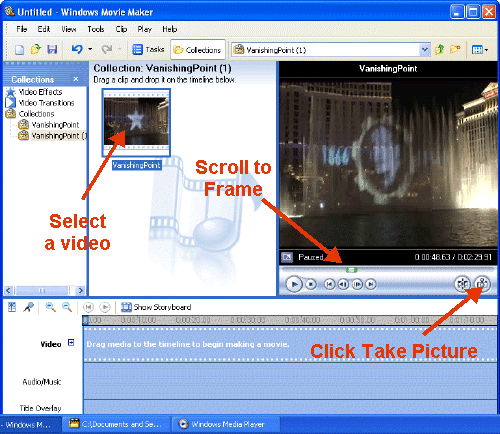 Windows Movie Maker provides a very simple solution for saving a frame of video as a still image. Keep in mind this still image will be saved at whatever the resolution of your video is, which is probably not high enough quality for printing. 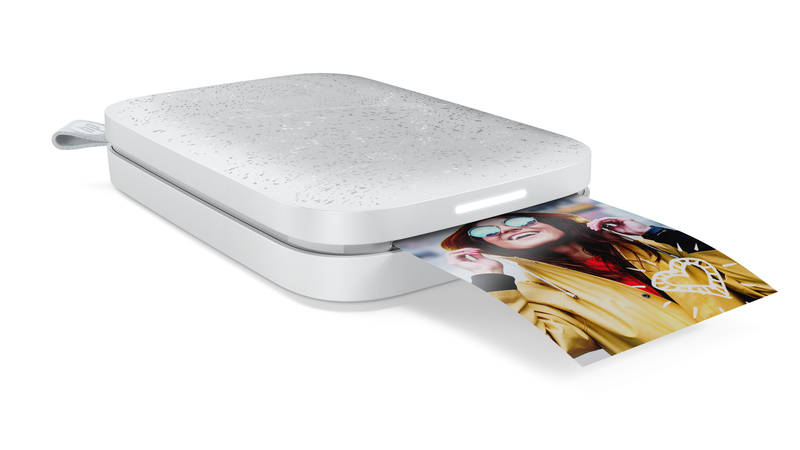 If the video you want to grab a still image from is on DVD, you’ll need to use a slightly different method for saving still images from DVD. To save a still image from a movie in Windows Movie Maker, first select the video clip you want to save an image from in the Collections pane. Move the playback slider in the video monitor to the point in the video where you want to save a still. Click the Take Picture button below the preview window. When prompted, choose a name for your file and click the save button. You can also save still photos from video files on the Timeline.